The chill is in the air, which means it's time to pull out those heavier scarves and winter sweaters! Soft, warm fabrics layered together make me so happy! Blanket scarves are my go to accessory during these cool months, I love the bulky texture and fun patterns that can be added to any outfit. To get the really full look, take both ends of the scarf and tie them in a knot, then wrap it around your shoulders and neck until you get the look you want. 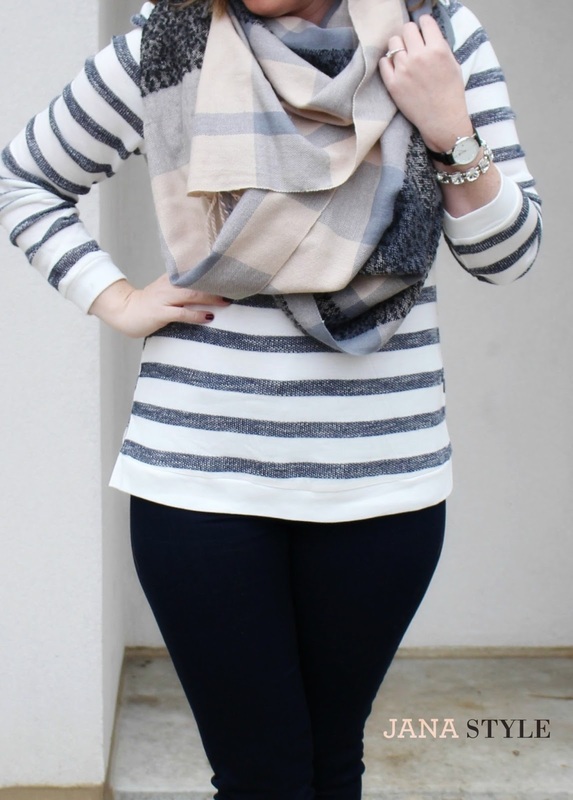 It's super simple and adds much more volume to the look of the scarf.